Your new born baby can have fun and get busy in fun toddler play yard park. Fun Newborn Playards Zone. 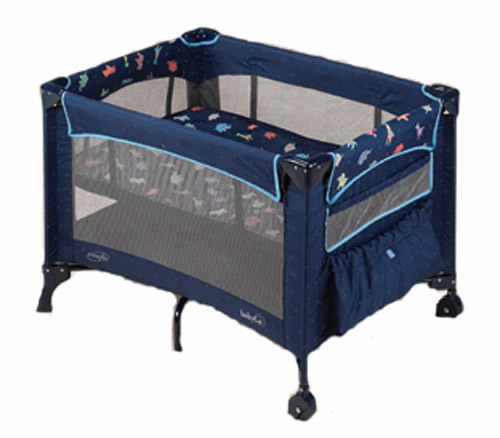 Top Infant Play Yard product selection. 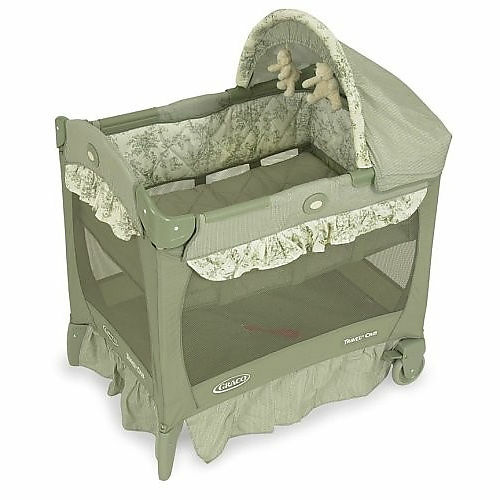 All the great benefits of our 9000 model Travel Lite Crib plus two soft toys! 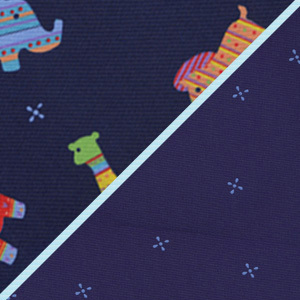 Perfect for trips with baby, whether on vacation or over to grandmas. 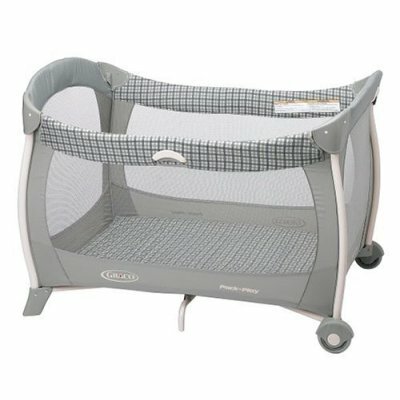 Portable play yard theme comes with full-size removable bassinet, soft-toy bar, handy carrying bag and mesh sides for better ventilation. Push-button fold and wheels for easy storage/portability. For children less than 35" tall and less 30 lbs. 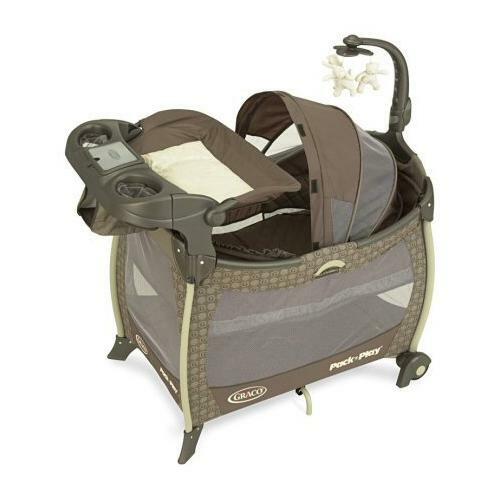 Graco« combines two products into one with the Pack n Play« with twins bassinet. 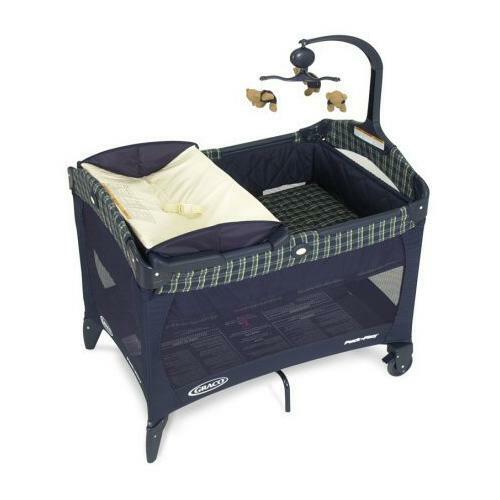 It is a portable playard that features a double bassinet for twins. 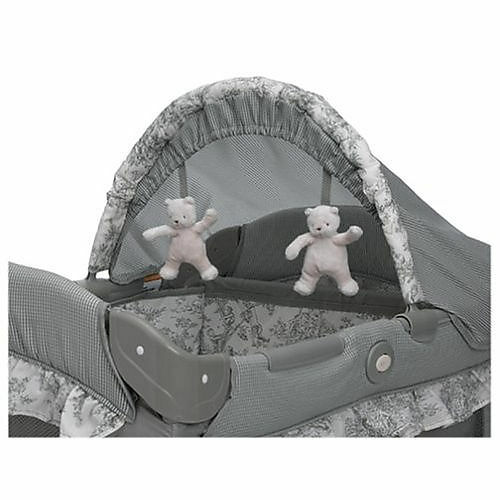 The bassinets are lined with the Graco signature quilted bumper and mattress pads for added comfort. Removable full-size bassinet raises newborns to comfortable height, by Evenflo. * 2 storage pouches on side * Padded floor & top rails * Caster wheels for easy moving * Quick and easy setup/take down * Lighter than other leading playards.